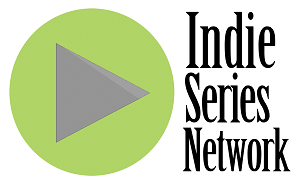 In the last Indie Series Network and Serial Scoop "Web Series of the Week" (#WSOTW) poll, Oh $#%+! I Woke Up in Colorado was voted favorite indie series for the week. It's now time to catch up on latest episodes and vote for your favorite series in this week's poll. You can also cast a vote for your favorite actor, actress and web series couple/duo. Voting ends Wednesday, October 14 at 4 p.m. ET (one vote per person per day). Web series that aired one or more new episodes from October 3-9, 2015 are eligible. If a web series aired this week and is not on the list, cast your vote as "Other" and write in the name of the show. - About Us Season 2 Episode 3 "Time"
- Anyone But Me "Lost Scenes, Part 6"
- Brooding "Over Under" & "Big Girls Don't Cry"
- Classic Alice Episodes 89 "The Snake's Pass" & 90 "Confessional: Ewan"
- Entangled with You Episode 17 "Lose to Win"
- From Mansfield With Love No.88 "Nothing to Say" & No.89 "Healing Process"
- How I Seize It Episode 184 "Ashley Madison" & 185 "Marriage Equality"
- Jill & Jack Episode 12 "Jill and Jack do Paranormal Activity"
- LARPs Season 2 Episode 1 "En Garde"
- Life of Matt #6 "When You Figure Out What Happened"
- The Misselthwaite Archives Episode 40 "New Beginnings"
- Not So Union Episode 5 "Silverback"
- Oh $#%+! I Woke Up in Colorado Episode 6 "The Bag"
- Remainder One Episode 13 "Are We Done Yet?" - Shades of Bad Episode 20 "The Cup"
- Where the Bears Are Season 4 Episodes 13 "Bears on the Run" & 14 "Rehearsal Dinner Bears"